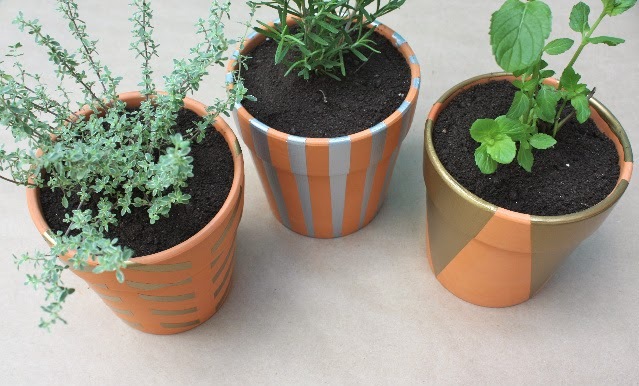 Add a touch of metallic glam to your basic terracotta pots with this simple DIY. 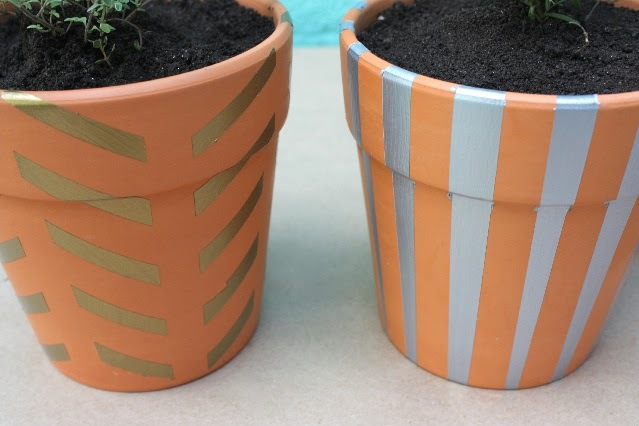 Terracotta pots. 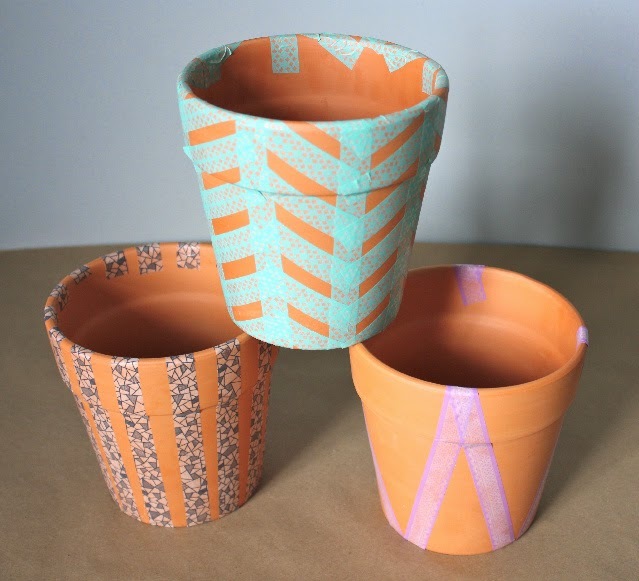 We found these 8″ pots at our local dollar store. Rustoleum American Accents craft & hobby enamel. 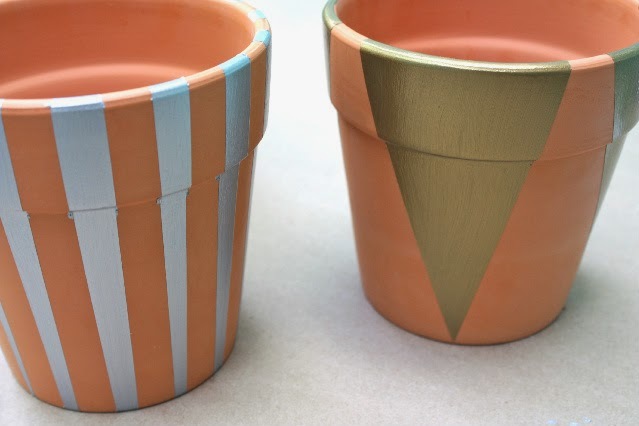 We used gold metallic (#209633) and silver metallic (#209636). 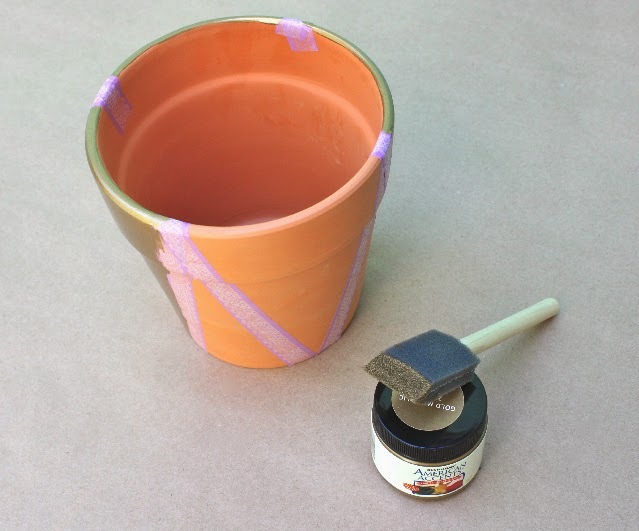 This paint was easy to apply, fast drying and one coat provided sufficient coverage. geometric theme of stripes, triangles and herringbone. 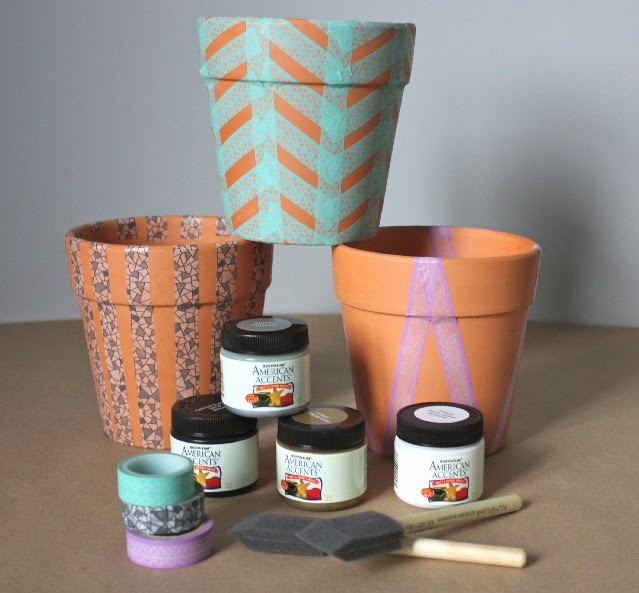 A foam poly-brush is easy to use and neat for minimal mess. 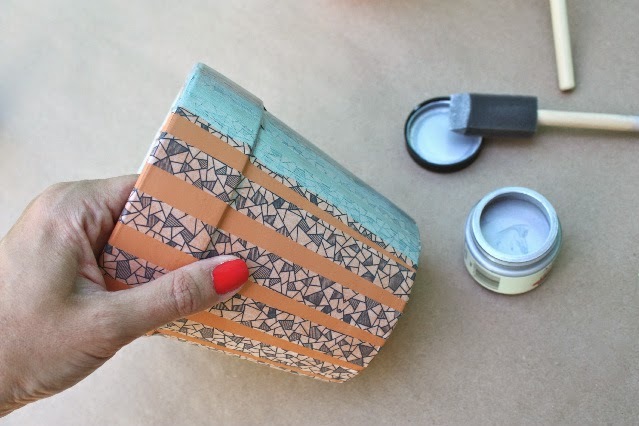 Not recommended for fine details, but perfect for covering larger surfaces. 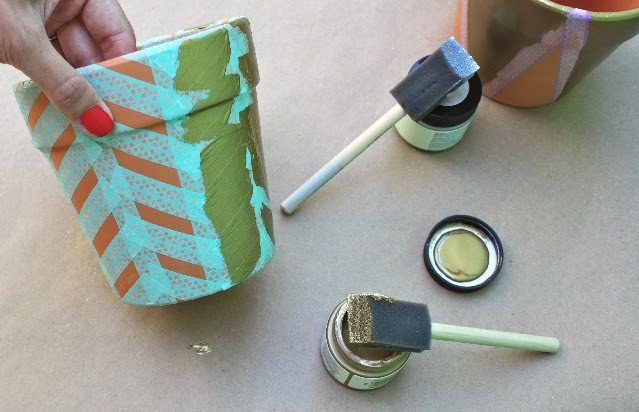 Wait about one hour for the paint to dry before gently peeling off the washi tape. Gold and silver add the perfect metallic pop. 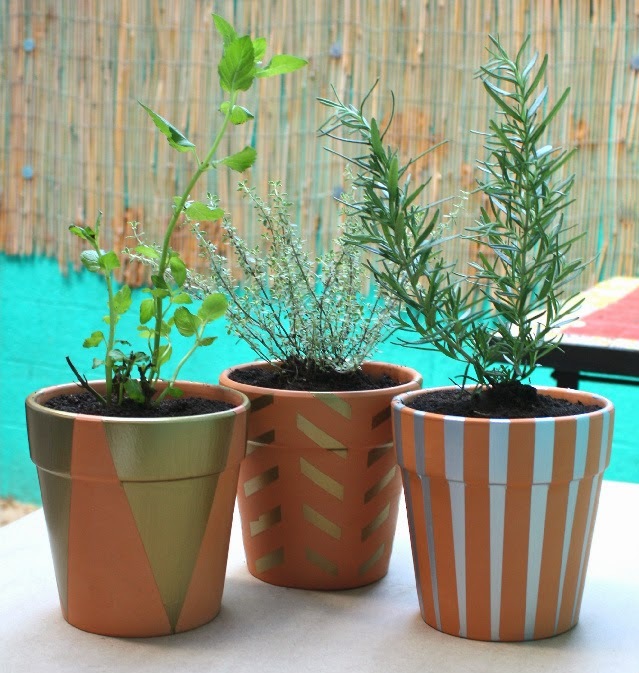 We are using our new glam pots for our herb garden of mint, basil & rosemary.